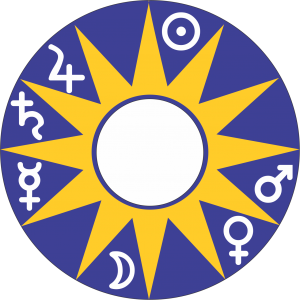 Astrology is the study of nature as it is observed in the celestial sphere and correlated with events on earth. In this context Saturn can be understood in terms of its position as the most distant of the observable moving bodies of light. Observable that is without the aid of telescopes. As the most distant body Saturn came to represent boundaries and endings, including death, imprisonment, entrapment, misery, deprivation and poverty. It also represents structures and responsibility, seriousness, darkness, heaviness and gravity. Has its detriment in the opposite signs: Cancer and Leo. Is exalted in Libra and is in its fall (exile) in the opposite sign: Aries. 1. 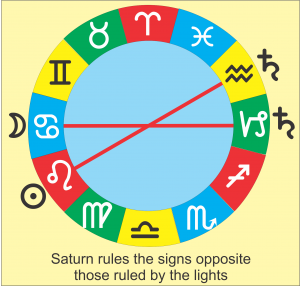 Saturn is opposed to both lights when it is in the signs of its rulership (Aquarius and Capricorn). 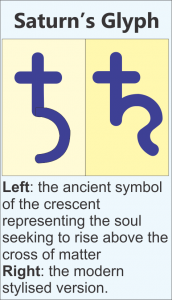 When it is in the sign of its detriment it is in the signs ruled by the lights: the Sun and Moon (Leo & Cancer). 2. Saturn is exalted in the sign of the Sun’s fall (Libra) and is in its own fall in the sign of the Sun’s exaltation (Aries). Cold (being far removed from the heat of the Sun) and dry, melancholic, diurnal, masculine. Boundaries & entrapment: Saturn is associated with solitary states, restrictions, enclosures, states of entrapment. Two examples are addiction to drugs, and incarceration. Drugs of addiction such as opium, prisons, cameras (they capture images), locks (keys are ruled by Mercury). Hidden: Things which are hidden or covered up such as root vegetables, mines and miners, animals which live under stones or underground. Time: Old age and old people including grandparents, plants and trees and living creatures which are old. Endings: Death, decay, waste products and toilets, garbage, those who work in sewers, undertakers; and miners, scavengers and beggars. Weight: Things which are heavy such as lead and plumbers because they work with lead. Colour: black and things which are black such as liquorice, Jewry because of their adherence to strict rules and black clothing. People: Fathers in night charts (the Sun rules fathers in diurnal charts). Old and elderly people. Those living on the edge of society such as drifters, beggars, criminals, the downtrodden, the repressed and disenfranchised sections of the community.Those who have been disowned or rejected by society . Also bullies and stern taskmasters. Physical appearance: Old, pale, swarthy, downward looking, stooping, unpleasant, broad shoulders, crooked fingers, shovelling gait. Occupations: Miners, potters, plumbers, gardeners (Saturn was considered to be the god of agriculture), undertakers, herdsmen, shepherds; people who live on the edge of society such as beggars and day labourers. Animal kingdom: Dogs, cats, scavengers, moles, wombats, scorpions, snakes, eels, tortoise, shellfish, mice, elephants, bears, pigs, any animal which feeds on decaying matter, anything which creeps or crawls. Birds: Bats, crow, owl, ostrich and emu, blackbird, cuckoo. Minerals/Jewellery: Lead, Lapis lazuli. Places: Ruined buildings, deserts, caves, dens, holes, rubbish dumps, cemeteries. Anatomical: The right ear, the bones, skeleton and teeth, joints, spleen.